Our company is continuously influenced and fueled by the nature around us, the creative cohesiveness of our team, and the relationships we develop with our clients as they dream. Contact us today! Our design philosophy is deeply rooted in the historic traditions of architecture. We strive to design spaces that create a sense of transparency between the interior and exterior environments. A Montana tradition - For 21 years StoneHorse Design has provided architectural, planning & custom designs devoted to integrating sustainable & innovative built work into the landscape. At JLF & Associates, we take pride in realizing clients’ dreams by designing extraordinary buildings which reflect the power of the landscape around them. 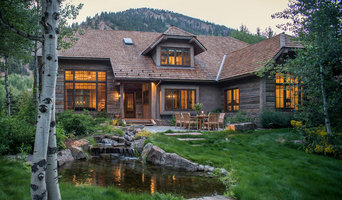 Locati Architects specializes in custom home design and takes pride in a focus on architectural and interior design work based on relationships and making connections. Throughout every phase of a project, from the initial architectural rendering to the final touches of the interior design, the Locati team gives thought to every detail, to the overall process, and to how people are going to experience that space throughout time. Locati’s specialty is taking the clients hopes and dreams and turning them into reality, incorporating any natural elements and details that the client wishes to make the end result feel like a home should: a place that people feel connected to on every level. We offer a broad range of design aesthetics reflecting our creative spirit, a commitment to listening, and the symbiotic relationship between architecture and nature within Gallatin County. Ambiance's mission is to provide fully customizable home automation technologies to clientele in Big Sky, the greater Gallatin Valley and throughout the country. Faure Halvorsen Architects is a nationally recognized architectural firm based in Bozeman, MT. Our team provides architecture, consulting, engineering, land planning, and interior design services. A small firm best known for the design of architecture and interiors for town, country, campus, hospitality, retail, resort and recreation use – in waterfront, woodland and mountain settings. Providing custom design services since 2002. We pride ourselves on creating innovative designs for a wide range of project sizes, budgets and complexities. Offering great design & personal service. Brandner Design offers design, engineering and fabrication services for all types of architectural elements, kitchens, stairs, doors, fireplaces, custom hardware, furniture, and wall decor. 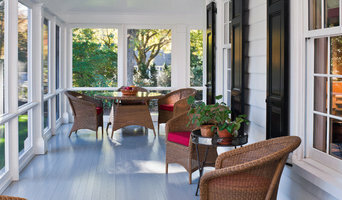 At Yellowstone Architects, we work hard to design great buildings and build strong and lasting relationships. Our 20 years of professional experience will support all of your design goals and vision. With passion, experience and integrity, Van Bryan Studio Architects provides full-service residential and commercial design. With over a century of combined construction experience in and around the Gallatin Valley, Constructive Solutions is uniquely positioned to create projects that focus on sustainability and innovation. At Brechbuhler Architects, we have combined years of expertise with a personalized, one-on-one approach. 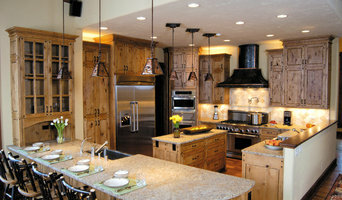 Based in Bozeman, we use our skilled knowledge to develop your dream home. Borne out of our “love of the land,” we use a palette of regional natural materials, we create buildings that are rich with color and texture, durable, intelligent, artful and highly crafted. We are an award winning architectural design firm with over 30 years of experience. We provide thoughtful, site inspired architectural design, & specialize in Passive House & Net Zero Energy design. I provide a personal and professional design service. I am your first subcontractor. I have a Masters of Architecture, 30 years design and 10 years construction experience. How do I find the best Big Sky architect for my home design project? It is best to hire a home architect who will be involved in all phases of the design process, from the initial concept to the completed construction. The architect is often the first person you will hire for your project. If necessary, they might also help you select and hire Montana subcontractors, which can include the builders, engineers and landscaper. Interior architects are also involved in negotiating contracts for all involved participants. It is for these reasons that it is extremely important for you to have a good relationship with the Big Sky residential architect you hire. He or she can be the tie-breaking vote between you and the general contractor and can be your biggest advocate during the construction process. Different architecture firms in Big Sky, MT provide different services, so the scope of the work can span from pre-design environmental impact studies to selecting furniture and finishes, depending on what your specific needs are. It is very important to hire the right professional for the job. Remember that the most well-known or established designer might not provide the best architectural services for your needs. It all comes down to the individual project. Research and ask people whose work you like for recommendations. It's important to have somewhat of an idea of the style of house architecture that you prefer, as well as the amount you would like to spend. 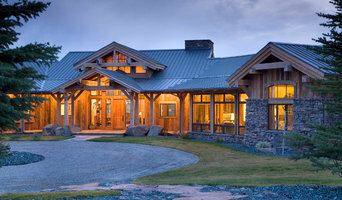 Residential architects in Big Sky, MT are natural problem solvers. They will assess the entire situation and help you to solve your problems too. Don't settle for a single company too early. Call and interview a few. Make sure that you feel like your personalities will mesh well and that you like their professional perspective. 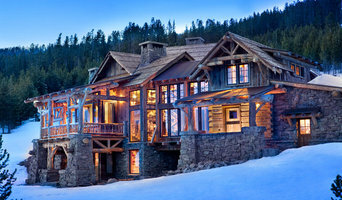 Find a home architect in Big Sky, MT on Houzz. Narrow your search in the Professionals section of the website to Big Sky architects. You may also look through photos of Montana projects to find interior architects and building designers who have worked on a project similar to yours.